One of my biggest dreams is to travel to Africa to support, volunteer, and document the hardships as well as triumphs that occur there. Until that opportunity comes, I've made it a point to support organizations here in US that are already doing great great things in Africa. 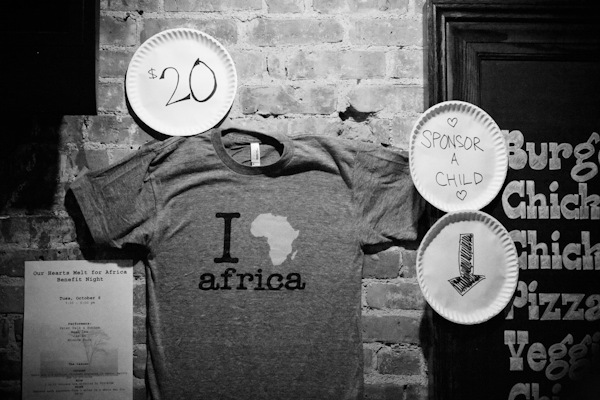 After a recent visit to Kenya, three friends decided to have a benefit concert at Bar Nine to raise money for an orphanage. I was actually invited to perform a couple songs at the event, but also took some pictures for them. Heres some of my favorites. The rest of the gallery is here.